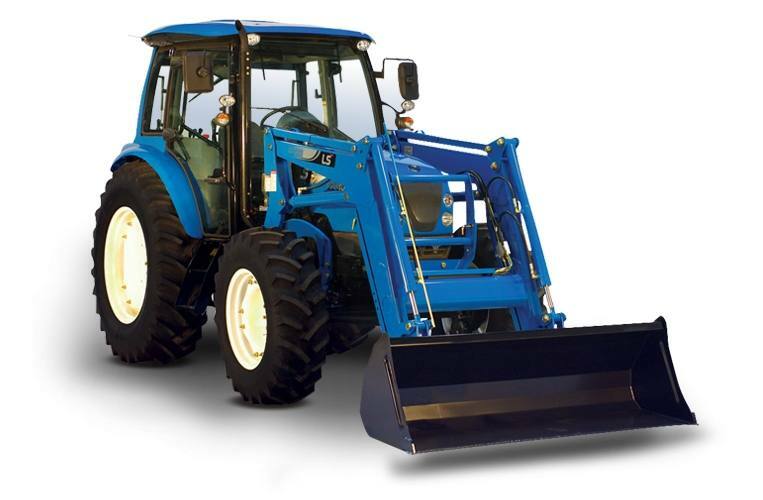 97HP heavy duty 4WD utility tractors designed to take on tasks of medium-sized farms, hay operations and livestock ranches. Extendable Lower Links: Allows easier attachment of a wide variety of Category 2 implements with a 6,173 lb lift capacity. Ergonomically Designed 3-Point Hitch with Hydraulic Auto-Lift Control: Easily accessible for maximum comfort and convenience. 3-Point Hitch: Category 3 with hitch lift capacity of 6,173 lbs. allows easier attachment of a wide variety of implements. Large Fuel Tank: 26.4 gallon capacity provides long operation times. Iveco Tier 4 Interim Engine: Generates more power with less noise, fuel consumption, vibration and emissions. Standard preheat starting aid helps starting in cold weather. Includes engine speed cruise control. Deluxe Adjustable Seat with Arm Rests and Retractable Seat Belt: Keeps you in a comfortable and safe position for maximum comfort.